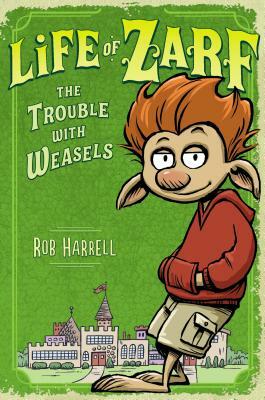 The first book in this brilliant new illustrated series from comics creator Rob Harrell is perfect for fans of fractured fairytales and the Land of Stories series. Rob Harrell writes and draws the long-running daily comic strip Adam@Home, which appears in more than 140 papers worldwide. He also created and drew the internationally syndicated comic strip Big Top until 2007. Rob recently published his first middle grade graphic novel, Monster on the Hill, which Kirkus called a "deliciously cinematic...indie charmer" in a starred review. He lives with his wife in Austin, Texas.